Especially right after winter time or during periods of drought grass, bushes, shrubs, plants and trees may die out. Leaving the dead vegetation in plain view is a major detractor of curb appeal. Potential homebuyers may think since the homeowner did not care enough to clean up their yard how must the rest of the home look and would be more likely to opt not to look further in that home if it were up for sale. Even worse if the dead vegetation is confined to a particular area of the yard the buyer may assume there is something toxic in the soil that is causing the die off. Last thing a homeowner with a home for sale wants is for buyers to think their home is a dumping ground for toxic chemicals. 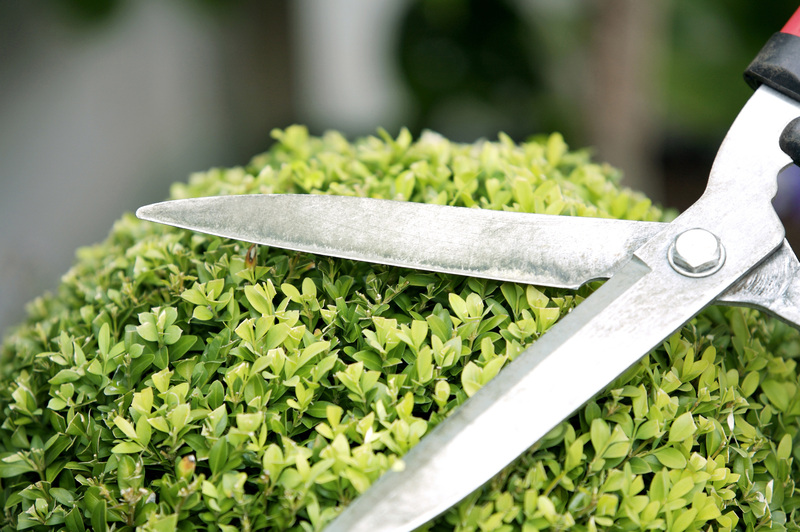 While lush healthy plantings and lawns make a home more inviting and appealing, overgrown plantings also may show that the homeowner does not care enough to keep things looking tidy both outside and in. Overgrown bushes or trees can block both the views of the home and from the home and can be a big turnoff for some buyers. While shade from trees are nice and can save energy in the hotter months, those trees that come too close to the house can cause damage to the house during storms that whip the branches around or they allow animals easy access to parts of the house who then take up permanent residence in the home. Keep trees and bushes properly trimmed so that there is little chance of damage from the tree and so that there is no easy access to the house by wild animals. A healthy green landscape is great and adds curb appeal to a home but by adding a pop of color during the proper season can take your home’s curb appeal to another entire level. Color can come in the form of flowers during the spring and summer seasons or from bushes and trees that change color during the fall. Even during the winter time when there may be snow on the ground plants like Holly or other Evergreens can still add color to the landscape. Seasonal outdoor decorations can also be used when planting new plants or trees is not feasible due to the weather. Make sure though you keep the seasonal decorations lighthearted and try not to overdo it. While some may like setting up a zombie apocalypse on their front lawn during Halloween that may not be the best thing to do when trying to sell a home since everyone has different tastes so it is better to go with neutral décor. While your landscaping may look great if your house does not look great all the curb appeal in the world will not help that. Your house is part of the big picture of curb appeal and if the paint is old and worn, bricks are dirty from the weather and more then your house definitely will need a freshening up along with everything else. Exterior surfaces that need painting should be painted, windows cleaned, surfaces that need power washing should be washed and any repairs needed should be done to make sure everything looks great. 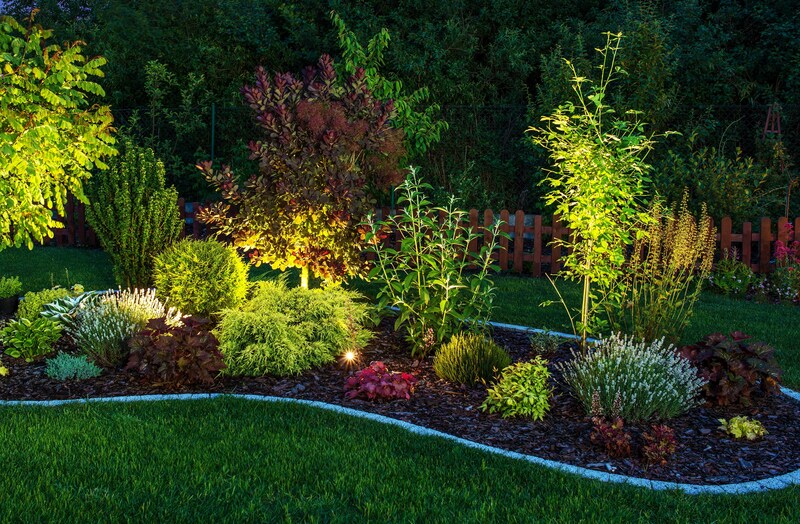 Some outdoor landscape lighting may be even called for it will enhance the night time curb appeal of your home. When spring rolls around it is time to remove any leftover winter decorations or lighting. Same for any season, make sure to brighten up and decorate based on the season. During the winter holiday season Christmas lights may look great but a month or two after the season is over then it is wise to take the decorations down so buyers know the home is being actively maintained both inside and out. As mentioned above neutral decorations are the best and will help appeal to everyone. Selling a home is a contest and by appealing to everyone you are more likely to win through getting a good offer on your home. 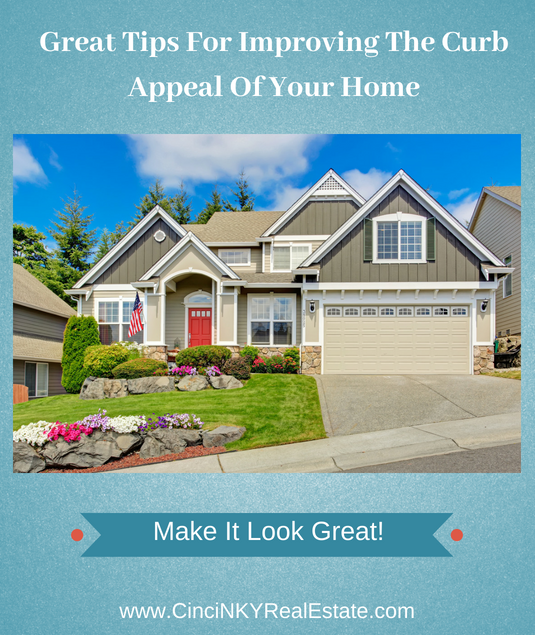 Curb appeal can mean the difference between high buyer interest to lukewarm buyer interest. Low buyer interest can result in the house sitting longer on the market or even worse it can bring out the bargain hunters who will make offers accordingly. By improving your curb appeal you can increase the perceived value of your home and make it more likely to sell earlier rather than later. About the author: The above article “Great Tips For Improving The Curb Appeal Of Your Home” was provided by Luxury Real Estate Specialist Paul Sian. Paul can be reached at paul@CinciNKYRealEstate.com or by phone at 513-560-8002. If you’re thinking of selling or buying your investment or commercial business property I would love to share my marketing knowledge and expertise to help you. Contact me today! Great tips! I totally agree with you especially about not ignoring the exterior of the house. After all, painting a house (whether it's the interior or exterior) is one of the cheapest and most effective way to enhance its curve appeal.